Now a major motion picture starring Melissa McCarthy-Lee Israel’s hilarious and shocking memoir of the astonishing caper she carried on for almost two years when she forged and sold more than three hundred letters by such literary notables as Dorothy Parker, Edna Ferber, Noel Coward, and many others. But by 1990, almost broke and desperate to hang onto her Upper West Side studio, Lee made a bold and irreversible career change: inspired by a letter she’d received once from Katharine Hepburn, and armed with her considerable skills as a researcher and celebrity biographer, she began to forge letters in the voices of literary greats. Between 1990 and 1991, she wrote more than three hundred letters in the voices of, among others, Dorothy Parker, Louise Brooks, Edna Ferber, Lillian Hellman, and Noel Coward-and sold the forgeries to memorabilia and autograph dealers. 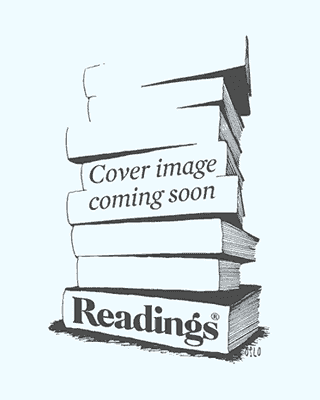 Lee Israel is deft, funny, and eminently entertaining…[in her] gentle parable about the modern culture of fame, about those who worship it, those who strive for it, and those who trade in its relics (The Associated Press). 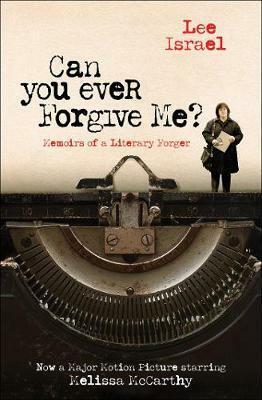 Exquisitely written, with reproductions of her marvelous forgeries, Can You Ever Forgive Me? is a slender, sordid, and pretty damned fabulous book about her misadventures (The New York Times Book Review).